Shabak: Number of terror attacks hits 365 in one month. 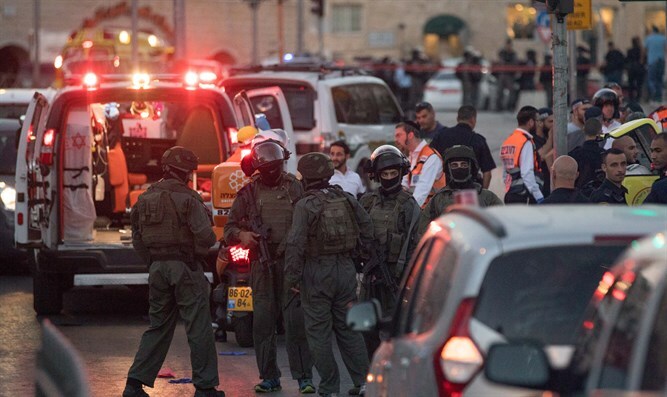 May saw the highest number of terrorist attacks in 2.5 years against Israelis, following an increase of almost 40 percent from the 223 incidents recorded in April. Of the 365 attacks recorded in May, 271 involved firebombs, the Israel Security Agency (Shabak) said in its monthly report, published this week. The increase occurred in Jerusalem, Judea, and Samaria, as well as along Israel’s border with Gaza. The tally for May is the highest on record since October 2015, when 620 attacks were recorded. One Israeli died as a result of attacks, a soldier who was killed after a terrorist crushed his helmet. Four more soldiers were injured, one in an explosion in Jerusalem and three others, as well as one civilian, from a rocket near Gaza. Hamas has organized a number of deadly riots weekly along the border with Israel, labeling them "nonviolent events" despite the fact that they feature the hurling of firebombs at troops near the fence and attempts to breach it. Additionally, Gazan terrorists have burned over a thousand acres of land near the border by sending over kites and helium balloons carrying firebombs and other explosives.